← Daily Deals vs. Loyalty: How to Get Your Customers to Come Back! After getting a BA in Advertising, an MBA, and 9+ years working in advertising, it wasn’t until I joined FiveStars that I understood the most important part about advertising….the insurance policy on it! Businesses invest a large amount of money on that traditional advertising- newspapers, magazines, direct mail, online, flyers, etc. All of this just to get the name out and hopefully, bring new people in the door. There is an acquisition cost for each new customer and it is an integral part of any business, and the successful ones see this as an investment- but it can’t end there. When investing those large sums of money into your business, wouldn’t it make sense to have an insurance policy in place to make sure there are long-term results and those dollars are spent appropriately? 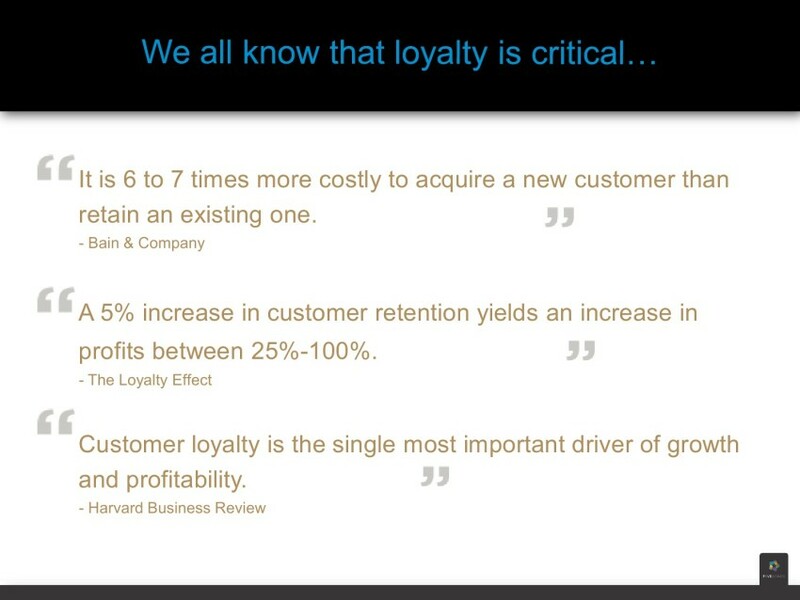 That’s exactly what customer loyalty does! You’ve worked hard and invested time and money getting them in the door, providing excellent customer service and products, and now it is simply having an insurance policy to keep them coming back. It is 6x’s less expensive to keep a customer than to get a new one! Loyalty shouldn’t replace all of your advertising, but it will have a bigger return on investment which will positively impact your bottom line. It will help you get more bang for your buck by motivating your new customers to come in the door more often, making them feel special for patronizing your business, while providing you a platform to reach out to them. Loyalty programs excite customers and motivates them to buy from you again and again, without you having to ask. FiveStars Loyalty Consultants can show you how to utilize your reward structure to increase repeat business enabling your loyalty insurance to work for you. This entry was posted in Best Practicies, Industry Advice, New Businesses and tagged Customer Loyalty Program, FiveStars Loyalty, Grow Your Business, Repeat Business, small business, Small Business Advertising. Bookmark the permalink.